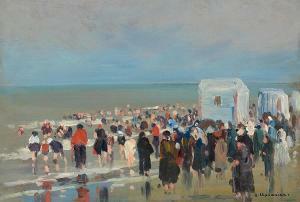 Find artworks, auction results, sale prices and pictures of Arsene Chabanian at auctions worldwide. 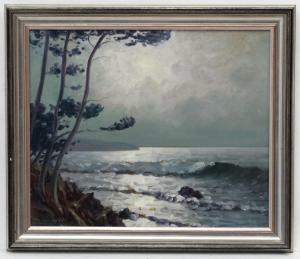 Arsene Chabanian (1864-1949), Oil on board, Moonlight on the Mediterranean, Signed lower left ,also spelt Arsen Shabayan. 14 3/4 x 17 3/4" CONDITION: Please Note - we do not make reference to the condition of lots within catalogue descriptions. We are however happy to provide additional information regarding the condition of items on request. Oil on panel. Signed lower right: A. Chabanian. Öl auf Holz. Unten rechts signiert: A. Chabanian. Wax lined. Frame rubbing. Scattered craquelure. Inpainting throughout much of the sky; 7 inch vertical line of inpainting in the lower left corner; area of inpainting in the lower right-hand corner; some spots in the water. 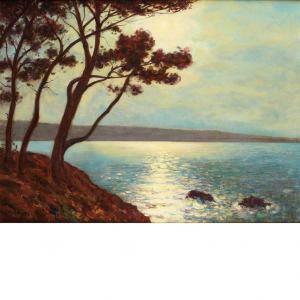 Arsen Chabanian studied at the École des Beaux Arts in Pariswhere he perfected his technique for depicting the sea. 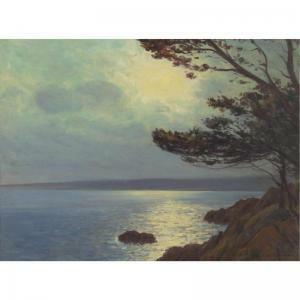 He greatlyadmired the work of Ivan Aivazovsky, his friend and contemporary,whose influence is evident in the present lot. Many of Chabanian'spictures now hang in important institutions in Europe including theLuxembourg Museum in Paris. 24 by 32 1/2 in. 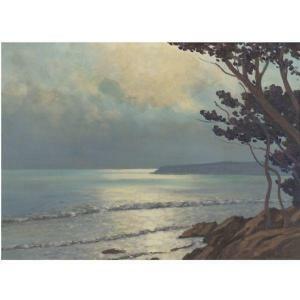 Arsen Chabanian studied at the École des Beaux Arts in Paris where he perfected his technique for depicting the sea. He greatly admired the work of Ivan Aivazovsky, his friend and contemporary, whose influence is evident in the present lots. Many of Chabanian's pictures now hang in important institutions in Europe, including the Luxembourg Museum of Paris.